Many people don’t realize what a powerful tool aromatherapy can be. Scents are tied directly to the part of the brain that is linked to memory and emotion, so scents can influence both. This can work very well in the business world, influencing employees to work harder, retain more information or stay alert. In fact, studies show that certain scents can affect memory, concentration, sustained attention and cognitive function. FragranceX took a look at the scents most likely to boost productivity. For example, the scent of rosemary has a positive effect on memory and increases alertness. The scent of vetiver caused improved brain patterns in one study. What better way to influence the mood and output of your team? We all know that coffee can increase alertness, but did you know that the smell of it can have a similar impact? 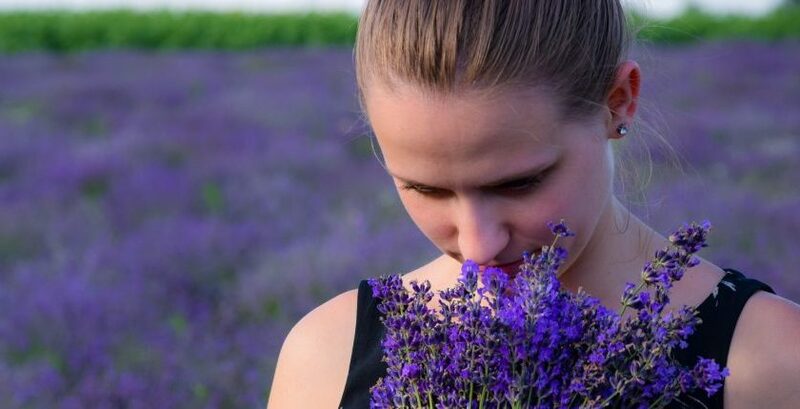 One study points that just the scent alone can help people perform better on analytical reasoning tasks. One scent that is particularly good for office workers is lemon. In one study, the scent caused participants to make 54 percent fewer errors when they were typing. It’s fascinating how a certain scent can have such a profound impact on something so unrelated, but it’s been proven by science! The scent of jasmine has been shown to stimulate the nervous system, re-energizing those who take a whiff. Could you imagine what pumping the sent of jasmine into the break room might accomplish? Another scent that is great for the office is citrus. Its bright aroma helps keep people alert and shortens response time. A diffuser of citrus sitting on your desk could help keep you or your employees engaged throughout the day. Another great way to administer this would be a lightroom spray! Cinnamon, a scent that is often associated with cooking, can actually be a wonderful addition to the workplace. Research has shown that the scent of cinnamon can boost performance, especially on tasks that require heightened attention. On top of that, it’s been shown to increase memory! Peppermint has a similarly culinary association and most people know that a quick whiff can be incredibly energizing. However, most people don’t realize that the scent can increase the accuracy of memory and help keep people alert. A scent that can help you fight fatigue, at the office or at home, is ginger. Ginger tea can be made to not only offer a great smelling remedy, but the tea is quite healthy as well. It’s been shown to have mild painkiller properties, so it can be perfect for someone who needs to power through a deadline or who might have a headache from staring at the screen for too long. One scent many people don’t consider is the scent of fresh pine. Walking through a forest can have tons of positive impacts on the body, but smelling the artificial scent can have a similar effect. It’s been shown to reduce stress and have a somewhat antidepressant quality. If you or someone you work with seems like they have been more stressed than usual, adding a diffuser of pine to their workspace could be beneficial. Lemongrass, used in many popular spa-like scents, can also be a great addition to the workplace. It not only smells amazing but has been shown to help ease anxiety and reduce stress. Depending on which scent you prefer, either lemongrass or pine can have similar effects. Studies show that reduced stress leads to better morale and even improved output from employees, so a natural, low-cost solution like scent could be just what you need. Simply diffuse the scent or find a room spray that features the scent prominently. One last scent that works for productivity is lavender. You may be surprised at this one because lavender is typically known to have a sedative effect. However, this particular scent should be used after work. Studies have shown that lavender improves concentration by recharging the brain when it’s time to rest. What better way to prepare yourself for a productive workday than getting the proper rest and relaxation. Aromatherapy might be one of the more non-traditional ways to boost productivity, but it can work wonders. As we mentioned before, it’s low cost, readily available and effective. Try one or more of these scents in your workspace and see what happens! Take a look at this infographic for a quick guide. About the author: Shannen Murphy is a writer, blogger, and filmmaker aiming to change the world through genre storytelling. She writes, shoots, edits, and posts product videos for perfumes and colognes featured onFragranceX.com.